This month has involved a bit of extra work, as we put together the Gold Star supplement, provided free with this issue. 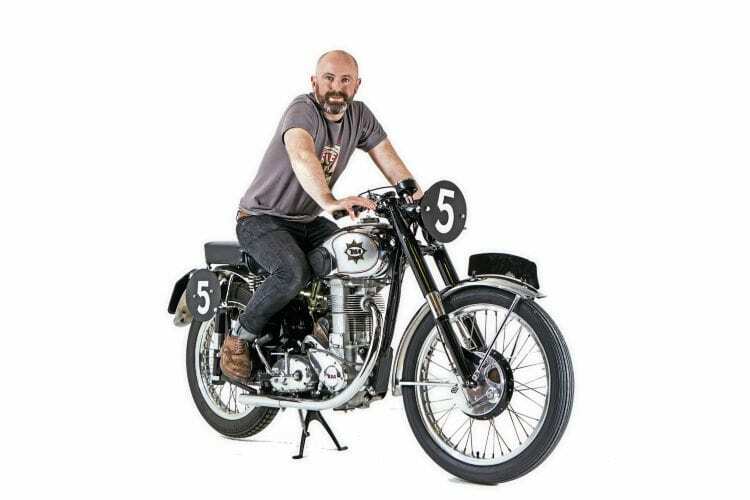 Lots of people helped out, so thanks to everyone involved, particularly all at the National Motorcycle Museum for putting the BSAs at our disposal. We hope you enjoy the fruits of those labours. It was really interesting to do, as I confess my Goldie knowledge was little more than surface-deep, and as with these subjects that inspire lifelong passions (see the likes of Dave Flintoft and Phil Pearson, plus our own Mr Rosenthal, and his son, Peter) the enthusiasm is often, to me, not only inspiring, but infectious too. Predictably I came away from collating it scheming ways to buy a Gold Star, trying to decide which model I’d go for, and why, looking through adverts, daydreaming and so on… It’s all part of the fun, I realise, and an essential part of what has always been the preserve of the enthusiast – basically, there’s the element of the dreamer (or the reminiscer) in all of us. I do have that tendency to become enthused by pretty much any motorcycle, especially if it’s something I’m not too familiar with. Witness the Matchless Silver Hawk, again appearing in this issue and something I wasn’t, basically, clued up on. Quite apart from never being able to quite remember which was the four and which was the twin (I’ve learned, now, the way to remember is to visualise the cambox which has ‘Matchless Silver Hawk’ on it; the twin, the Arrow, doesn’t have a cambox) I’d never really felt the urge or desire to investigate further. Looking over the one in this issue, while we photographed it, and then setting-to and writing the feature, meant a lot of research, and, subsequently, also learning. That’s what I find fascinating, being able to dig that bit deeper and see what is under the surface. Often, one comes away impressed – the Gold Star and its ongoing, never-ending development, the clear and bright (and forward) thinking of the Silver Hawk – and then there’s Frank Cope (see page 76). What a brilliant character he was; starting racing at 52 and embodying all that ‘can do’ spirit many of us would like to have, but, sadly, seldom actually have. But these motorcycles and these characters (see Torrens, too) all adds to make up this rich tapestry that is the picture of classic motorcycling.